Orchard Fruit Trees can be dedicated to someone or something you love and will be planted during the winter season of 2014/15. See our “How to Dedicate a Tree” page for more information or contact Dhira through the Contacts page. We will be planting 4 large standard traditional Yorkshire varieties of apple and pear together with a selection of 12 – 15 semi dwarfing root stock including apples, pears, plums and cherries. All Fruit Tree dedicators will be able to visit the Orchard and after leaving a 10% tithe for wild life, share in the gathering of any potential fruit. The dedications will be added to the Record Book along with the Boundary Tree Dedications to be archived with Bradfield Parish for 200 years. We are restoring the old neglected farm orchard in the centre of the mediaeval hamlet of Brightholmlee back to being a traditional orchard and orchard habitat. This is in line with restoring a priority habitat as listed in the UK Biodiversity Action Plan. The 1/3 acre orchard appears on the 1850 O/S map but could be at least 200 years old. 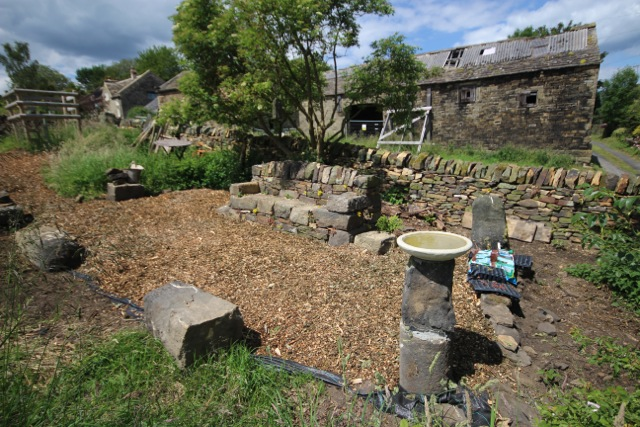 It was originally divided into 2 smaller plots, one being the Orchard proper, the other was used for a Hay Stack during the 20th Century and included a Hen Hut. There is also a smaller enclosure on the southern boundary wall which may have once been a garden. The Orchard traditionally belonged to the Old Hall and has been recently bought by a member of “Friends of Brightholmlee Hamlet”. 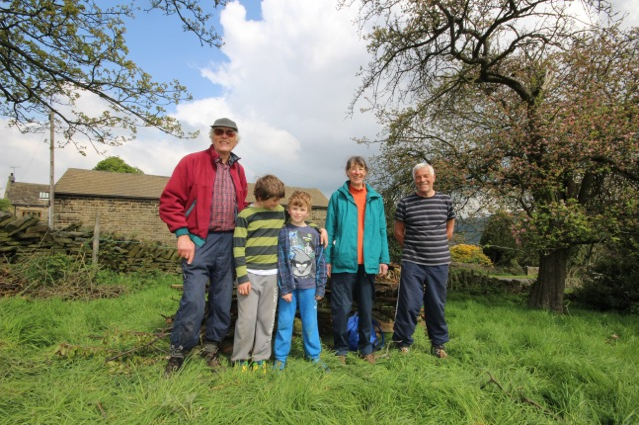 To the delight of the rest of the group the Orchard is now in a process of being restored by Dhira with an intention of re establishing a traditional farm orchard and creating a wild life habitat, preserving a part of our heritage and making a central feature for the hamlet. Once the capital works are complete, the Orchard, with the help of “Friends of Brightholmlee Hamlet”, will be replanted with fruit trees. We are too small a group to take the leap and create a Community Orchard, so it will remain in private ownership. However it is intended that all who have actively volunteered to help bring about the Orchard’s restoration or anyone who has kindly dedicated an Orchard Fruit Tree together with their families will have access to the site and be able to share in any potential fruit crops. 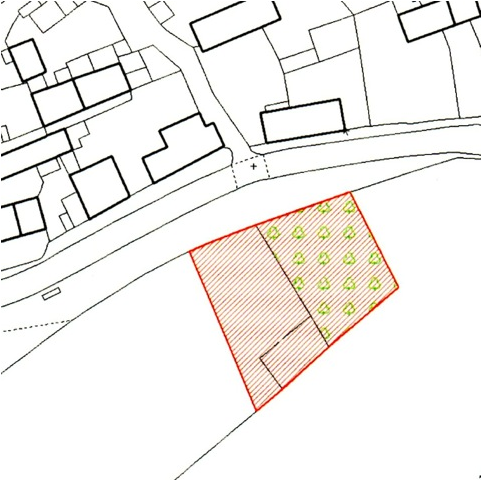 The intention is that the Orchard will become an educational resource and increase biodiversity through habitat creation as well as being a productive Orchard. It’s hoped to enhance and create new habitats for birds, mammals, invertebrates and insects by not only increasing the diversity of wildflowers and grasses but also by the introduction of a pond, species specific nesting and roosting boxes and bug hotels. Over the next few months nesting boxes for Barn Owls, Bat Colonies, Little Owls, Bumble Bees and small birds will be erected either within the Orchard or the surrounding trees. With the recent and anticipated barn conversions within the hamlet, our work will help to raise awareness for the need provide spaces for our local wild life populations. We are looking for a group willing to take over the management of The Little Enclosure with suggested projects such as making a butterfly garden, building a pond and/or creating a nectar cafe. 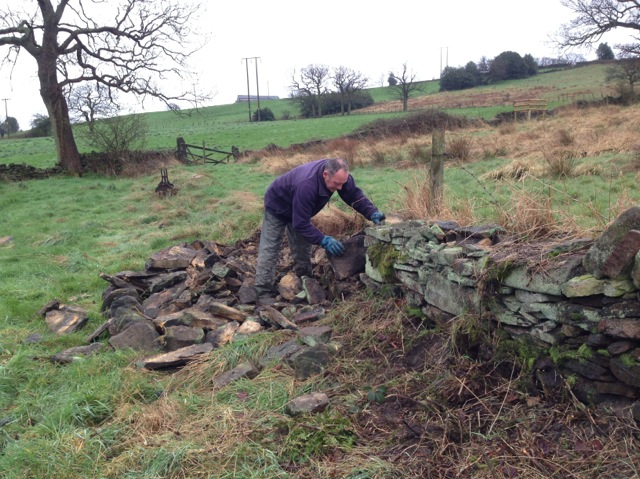 We aim to restore all the old dry stone walls and include several Game Runs so wild life may have free passage in and out of the Orchard from the surrounding fields. The existing wall styles by the entrance gate and into the Little Enclosure will be retained and a new style inserted close to the Sycamore tree. A new entrance gate will be fitted together with a smaller garden gate for the west wall of the Little Enclosure. 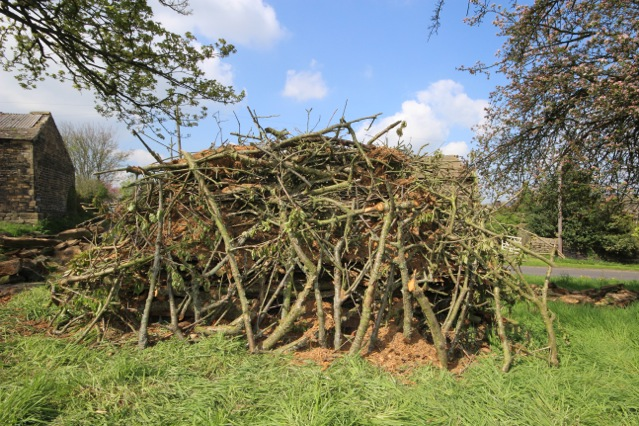 The Orchard has already been cleared of old discarded scrap iron, fencing posts and barbed wire and the remains of the old hen hut cleared and reused in the habitat piles. 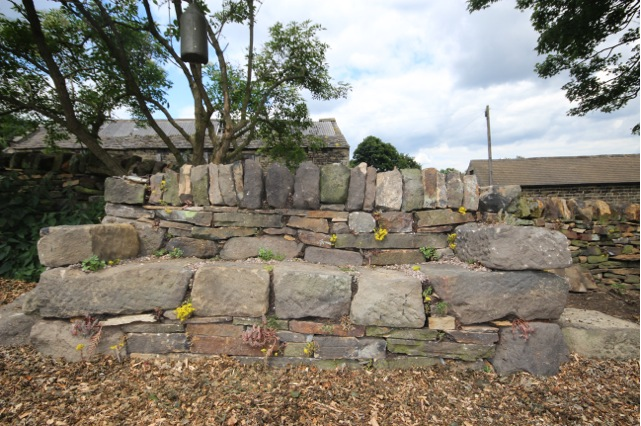 A new stone seat and seating area is being created on the site of the old Hen Hut. We have consulted with Michael Senkans an Ecologist and Tim Shortland both from Sheffield City Council as well as with Julian Brandram, a Fruit Tree Specialist. trees will also be implemented over the next few years. Due to lack of funding and small volunteer numbers, the Orchard’s sward will not be regularly cut. We do intend to build some simple paths with free wood chips donated by our local tree surgeon, Anthony Galloway. We want to preserve and restore the 3 remaining fruit trees and have sent samples of the crab apples to Brogdale for identification. We intend to plant old traditional Yorkshire varieties of fruit trees in the traditional orchard area as large standard trees on vigorous root stocks. On the western side of the Orchard, in what was latterly used as a hay stack, we intend to plant up to 15 smaller semi dwarfing fruit trees in a range of popular varieties. Tim Shortland has offered to take grafts from a very old local hessel pear tree found in the orchard at Swinnock Hall so that we can hopefully preserve this local variety too. He has also offered to run a pruning workshop for all involved. 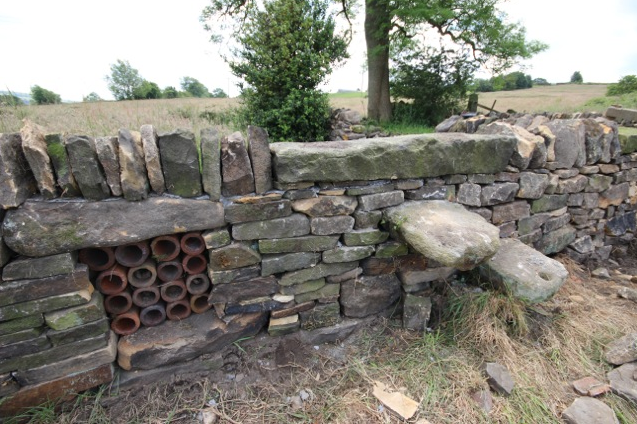 The capital works for the project have been self funded by the new owner and include the restoration of all the boundary and Little Enclosure walls, installation of species specific boxes, new gates, date stone, stone seat, pond, paths and once all heavy machinery is off site, a leveling of the ground on the western side of the Orchard. Once the capital works are in place, it is intended to sell Fruit Tree Dedications for £75 each, similar to the Boundary Tree Project, in order to raise funds to go towards pruning and maintenance of the Orchard. 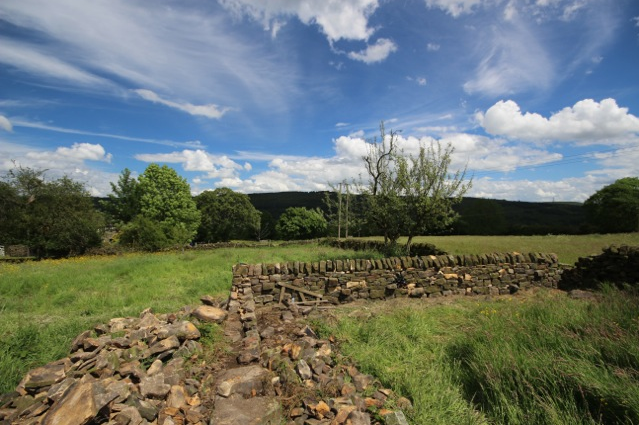 We would like to leave a lasting legacy and record the restoration in the Record Book that Dhira is currently making for our first community project which is to establish new boundary trees around the hamlet. All Fruit and Tree dedications will be included. On completion, this Book is to be presented to Bradfield Parish Council to be kept in their archives for 200 years. I’d like to see a peaceful little place to sit in the hamlet and just take in nature. If it’s productive as well it’s a bonus. It can be a sanctuary for people and wildlife together. We moved to Brightholmlee nearly 8 years ago as it reminded us of a quintessential farming hamlet of bygone years. Beautiful architecture and unspoilt landscapes, a tranquil place in which to raise our family. The only thing missing was a focal point where children could play and enjoy themselves. 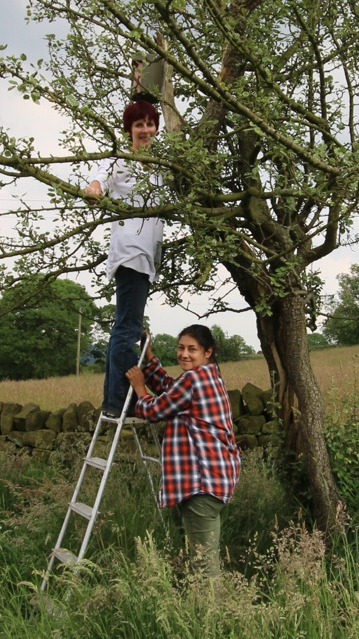 Friends of Brightholmlee Hamlet now have the opportunity, thanks to Dhira, of restoring the heritage orchard. We now have an opportunity to see wildlife in its natural habitat. I would like to see the orchard restored because it is such an integral part of our heritage, it adds to the character of the landscape and the distinctiveness of the hamlet. I’m looking forward to the pleasure of seeing the hamlet filled with blossom in the springtime, together with all the birds, bees and small mammals that will be attracted to it. More than anything else I’m excited to be able to make a real difference and become involved in unique conservation work including taking grafts from the old Swinnock Pear tree which is very dear to my family. I want to learn more about the different habitats and wild life associated with a traditional orchard and create a wild life oasis right on my doorstep. I can’t wait to get started! Restoring the orchard would make it the focal point within the hamlet. It would be an ideal resting place and spark an interest in nature and the outdoors for all of us. I have lived on Wharncliffe Side since 1947 and have seen it change from a few houses to the large village it is now. I would like to see the old orchard in Brightholmlee restored as it would be a place for my children and grandchildren to visit our dedicated fruit tree in a place they have always known and walked through with us. The restored orchard would be a peaceful haven away from the village where my family could sit and remember us. 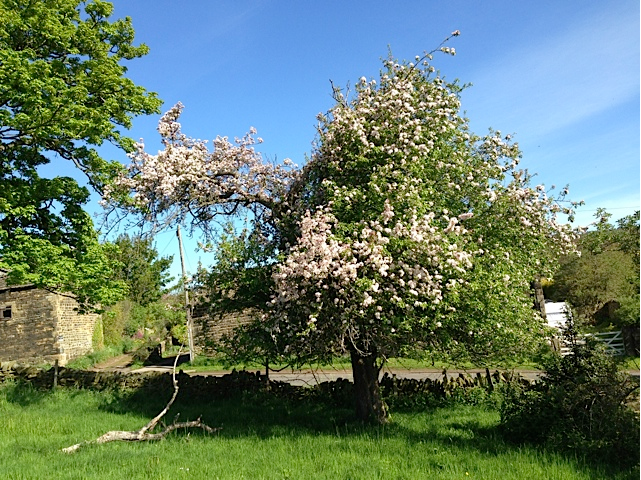 Reinstating the old orchard in Brightholmlee will be a wonderful asset to the hamlet and to Wharncliffe Side. Managed with wildlife in mind it will provide a peaceful and valuable sanctuary. Beautiful fruit will be a bonus! I think it would be nice to have some bees buzzing about in the old orchard. I could teach somebody how to look after them so we might get some honey. I have some old hives that we could use. I am thrilled to hear that you are now planning a new tree project which involves restoring the old orchard that was previously owned by the late Tom. It is sad that it has deteriorated over the years and it will be wonderful to restore it to its former glory. It will be lovely for me when I move back into the Hamlet in a few weeks, for us to work together as a family and with our neighbours and for me to meet new people, renew old acquiantances and make new friends. Conserving and restoring the old orchard will enhance the natural environment and character of the area, as well as create and maintain habitats for local flora and fauna. I guess we could learn how to rebuild stone walls, as I know they will need a bit of conservation/maintenance! 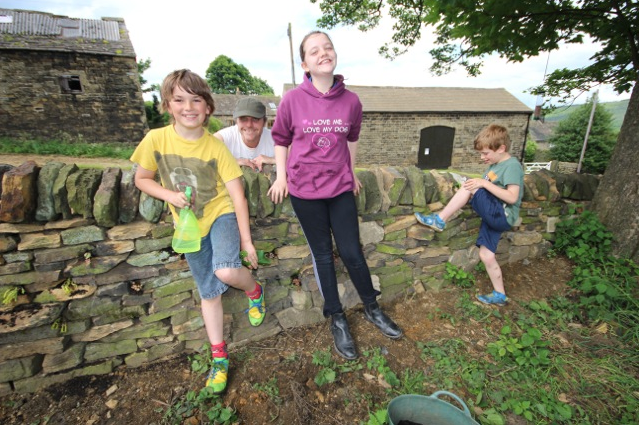 It will be a perfect place for us all to enjoy, to relax after a hard days work, for the children to play in and for all of us to enjoy country activities and learn new skills. I expect the local birds, bees and insects will also enjoy it too! It will be so good to learn about the history of the species of fruit tree that were grown in the past – like the old medlars that were mentioned by Shakespeare and apparently used a lot by the Victorians! (My mum and Dad have one in their garden). Did you say that you remembered an old pear tree from Swinnock Hall too? It will be amazing to keep these traditional species going and preserve them in their natural habitat. I am always nervous of all the chemicals added to our food by supermarkets to prolong their shelf-life and would much rather eat uncontaminated food! We could make jams and cakes and biscuits with the produce and even give some to the local church and other charities and it will help to promote healthy eating. I can’t wait to get involved! I envisage the ghosts of the people past, I feel we can give such a lot of joy to the local community, it’s of interest to look at these old fruits and berries and not loose sight of how they were used in both food and drink. It’s really such a nice thing that’s going to happen. It will be nice to see the orchard with all the different kind of apples and we look forward to many happy social gatherings in the orchard. I can’t wait to visit it with my little grandson, Joshua. It would be a very very very very nice treat to have an orchard where we can go every week for a picnic. We’ll have a good time planting all the trees and making insect houses. I would love that, seeing butterflies and hedgehogs when we have a picnic. I’d like bees, we could have honey. After many years of neglect and lack of obvious activity since Tom retired from farming, I am really looking forward to seeing the orchard come to life again with the old varieties of fruit and boundary walls as new, or should I say as old. This will preserve the integrity of our historic hamlet while providing a focal point for our community to come together and share an identity and responsibility to our common heritage. What a cracking small project bringing members of the local community together to create something of lasting value for future generations. Yes it’s been a long haul but now there is real tangible evidence of what can be achieved by committed people all pulling together. From small acorns to new growth, what an achievement for all involved, both residents and supporters, to be very proud of. Having lost the beautiful old tree that grew opposite our house, this is a great opportunity to bring new trees into Brightholmlee to replace the old. We used to look out at that tree nearly every day and we were very sad when it died, though it must have been very old. We have a photo of it dated around the turn of the century so that must have made it 100 odd years old!